The Serengeti is a name that conjures up images pulled from the heart and soul of the African continent: stampeding wildebeest, great open plains and the quintessential African safari. It’s perhaps the most legendary national park in Tanzania, a destination renowned for its enormous diversity of wildlife, its complex ecosystems and its beautiful landscapes. The Serengeti National Park is home to one of the largest concentrations of animals in Africa, and is perhaps best known for the seasonal migrations that see hundreds of thousands of animals moving across the plains in what becomes an almost unreal natural spectacle to witness. It’s an exceptional destination to visit. To inspire your trip to Tanzania, here’s everything you need to know about the Serengeti National Park. The Serengeti National Park is located in the far north of Tanzania, with its most westerly edge touching on the banks of vast Lake Victoria and its most northern limit overlooking the border with neighbouring Kenya. This is one of the most ecologically diverse national parks in Tanzania, and the extent of the park stretches to just under 15,000 square kilometres, with hundreds of thousands of visitors calling in every year to explore within its boundaries. The ecosystem of the Serengeti is not contained to the limits of the national park though, and the great migrations will see wildlife traversing the surrounding areas too. This extent of habitation and movement is reflected in the fact the Serengeti National Park borders onto both the Ngorongoro Conservation Area and the Maswa Game Reserve – both of which are found to the south – as well as the Maasai Mara National Preserve which is to the north in Kenya. The Serengeti National Park itself is divided into three unique areas of wildlife and landscapes. There’s a distinct division between the Northern Serengeti, the Western Corridor and the southern Serengeti Plains. The Northern Serengeti is comprised of woodland and rivers, the Western Corridor is savannah, while the southern plains are incredibly open and almost entirely devoid of trees. The nearest city to the park is Arusha, which is found over 300 kilometres away. However, there are many lodges and campsites within the boundaries of the Serengeti National Park that provide excellent accommodation for your trip to this beautiful part of Tanzania, allowing you to really experience the majesty of this African landscape. The Serengeti National Park is one of the best safari destinations – not just in Tanzania, but in all of Africa – because an extraordinary number of animal species call the plains, rivers and woodland here home. Game drives within the park will always leave you in awe of the sheer quantity and diversity of wildlife found here, and it’s more than likely that you will experience that wildlife at its most natural and, occasionally, at its most brutal too. 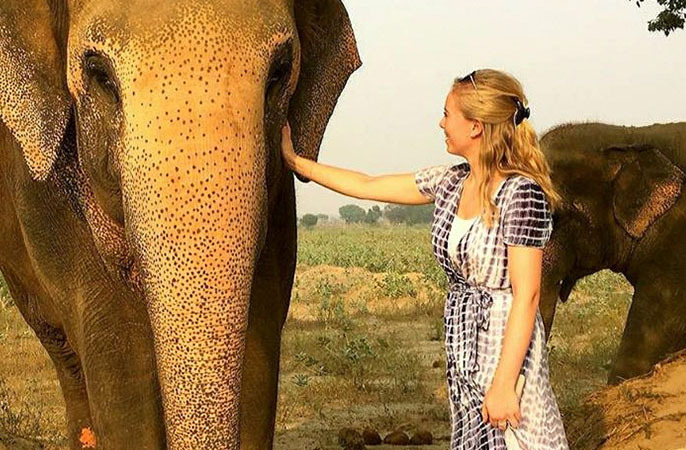 The park makes for a great safari location, particularly for first-time visitors to Tanzania, because within the limits you can see all of the famous ‘Big Five’ African animals. These are lion, leopard, elephant, buffalo and rhino; it’s likely that you will get the chance to see all of these on a trip to the Serengeti. The Serengeti National Park is thought to have the densest and most abundant population of lions in Africa, with numbers estimated to be around 3,000 strong. This is in part due to the prevalence of suitable prey throughout the region, alongside plentiful watering holes. Elephants are just as numerous, and buffalo are likely to be spotted around every turn in the landscape. 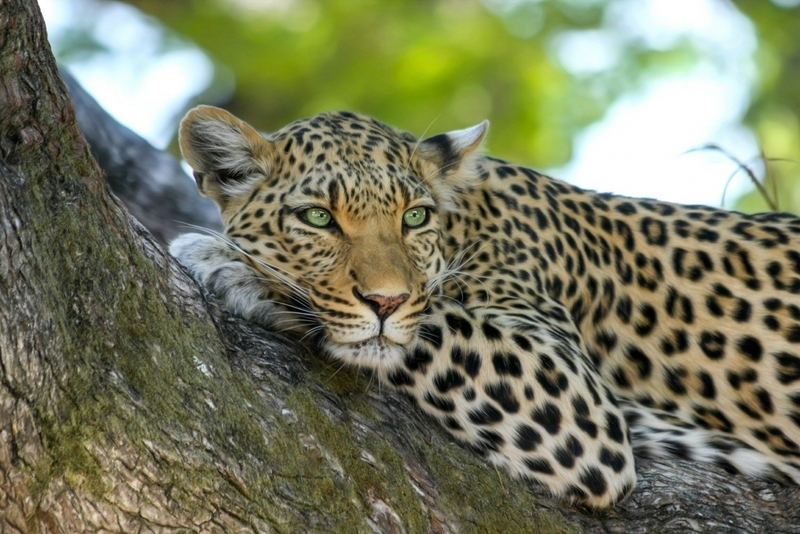 Leopards are elusive but there is a stable population here, while the black rhino is the most endangered, with very few are left in the wild due to excessive poaching. Alongside the impressive Big Five, there is a huge array of other wildlife too. Predators and scavengers include the cheetah, jackals, hyenas and wild dogs, to name just a few. Perhaps most impressive are the huge herds of wildebeest and zebra, which can be seen on their migrations. These large numbers, of course, attract the predators and contribute to the diversity of the ecosystem. 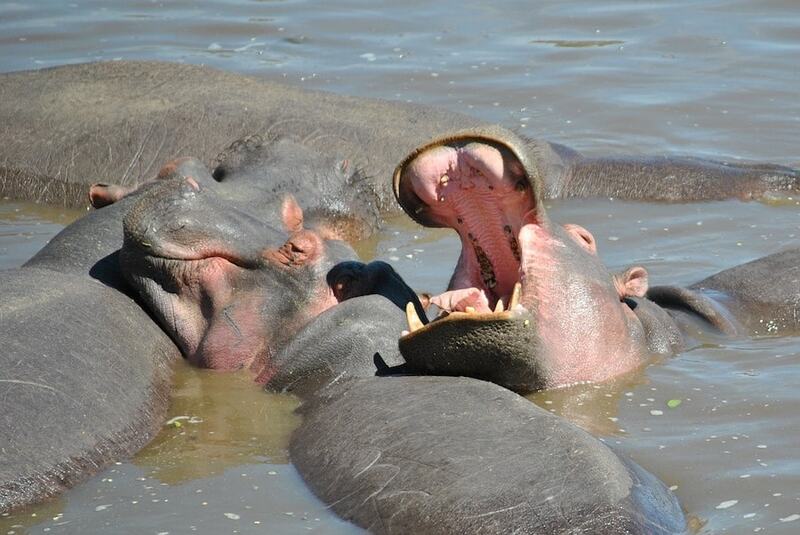 Away from the plains and along the waterways you are likely to spot some fearsome African wildlife too. Attracted by the quantity of prey that moves through the region, the rivers are quite literally teeming with Nile crocodiles. These deadly and ferocious animals can be spotted in particular along the Mara River in the north, and if you travel here during the Great Migration, you may experience a real battle of nature, as herds of animals cross the rivers while attempting to avoid the powerful jaws and quick reactions of the crocodiles that wait in the waters. The hippo can be a regular sight along the water within the Serengeti National Park, as can many other unique reptiles, while the trees are home to many diverse species of monkey. In fact, while the Serengeti is famous for its open plains and Savannah, the rivers and watering holes are perhaps the best places to see wildlife. The most popular time to visit the Serengeti is during the dry season when there is minimal rainfall, pleasant temperatures and an excellent chance of seeing most of the Big Five, as well as countless other animals too. The dry season runs from June to October, and during this period the wildlife is likely to congregate around the watering holes as the plains become drier. This makes it much easier to find the animals, and you will find your chance of spotting particular species increases exponentially during this time of the year. The wet season generally runs from November to May, however, within this period there are still months when there is less rain than others. The heaviest rainfall is always experienced in April and May, and some areas of the park can be difficult to access during torrential downpours. From November to March, there is less rain, but the weather can be unpredictable still. Realistically, the Serengeti National Park can be visited all year round despite the rainy periods, and perhaps more important to visitors will be trying to time their visit to coincide with the Great Migration that occurs throughout the park at different times of the year. The Great Migration is one of the greatest natural spectacles to be seen anywhere in the world, and it takes place across the wild landscapes of the Serengeti National Park. Every year, millions of animals, primarily consisting of wildebeest and zebra, embark on hazardous journeys across the Serengeti. It’s an impressive sight, but if you want to see this migration in its full glory, then it’s important you travel to the Serengeti at the correct time of year. The Great Migration happens annually and without fail, as the herds stick to almost set routes and timings to ensure that the migrations are pulled off as seamlessly as possible. Of course, it’s no easy feat though, and along the way many of the animals will fall casualty to not only exhaustion but to the lions and other predators that track the herds or to the crocodiles waiting in the rivers. It’s an epic sight, but at the same time it’s an example of the brutal nature of the Serengeti. The Great Migration begins each year to the south of the Serengeti National Park, as the herds begin to leave their grazing grounds around the Ngorongoro Crater and head into the southern areas of the Serengeti National Park in January. For the next few months, the herds steadily move north, staying in the open plains of the southern areas during the calving season, when hundreds of thousands of wildebeest are born. By the end of April, as the heavy rains are beginning to draw to a close and the dry season is about to begin, the Great Migration really gets into full swing as millions of animals begin to move north, quickly and simultaneously. April is a wonderful time to enjoy the plains of the southern Serengeti and to experience the huge movement of the herds on their way towards the Kenyan border. As the southern areas begin to dry, the migration moves north as the animals begin looking for more grass and water. By June, the herds are attempting to cross over the wide Grumeti River, which stalls the migration as the animals slow down and some are picked off by crocodiles. 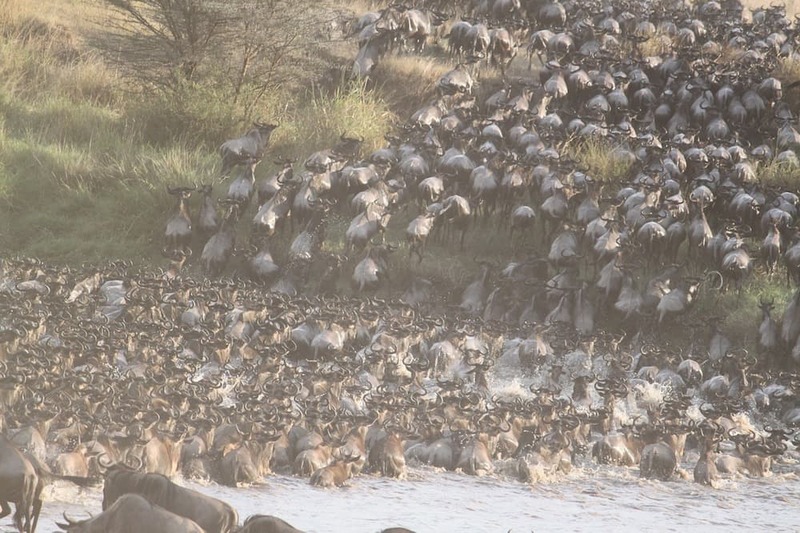 By July, the herds are crossing the Mara River, further north. This is the last major obstacle before the survivors reach their ultimate destination: the Maasai Mara National Preserve, which is on the other side of the border in Kenya. Here, they stay for the next few months before making the return journey. By December, the herds are back in the Ngorongoro Crater area of Tanzania, and this cycle of life is almost ready to begin once again after it has come full circle. Many hundreds of thousands of wildebeest and zebra are lost along the route each year, with vast numbers falling during the dangerous river crossings. For those on safari, one of the most popular times to visit the northern areas of the Serengeti National Park is in July, to witness those river crossings first hand and to see the final, desperate stages of the Great Migration. It truly is a once-in-a-lifetime experience, so make sure you don’t find yourself at the wrong end of the Serengeti when all the action is happening on the other side of the plains. – Bush Rover Suites is one of the most intriguing offerings available within the boundaries of the Serengeti National Park. – Glamorous canvas tents are established on top of Land Rover four-by-four vehicles, giving this camp the flexibility to move where it needs to for the best glimpses of African wildlife in the Serengeti. – The tents are mobile but also luxurious, with all the expected amenities including power, water and even bathtubs. 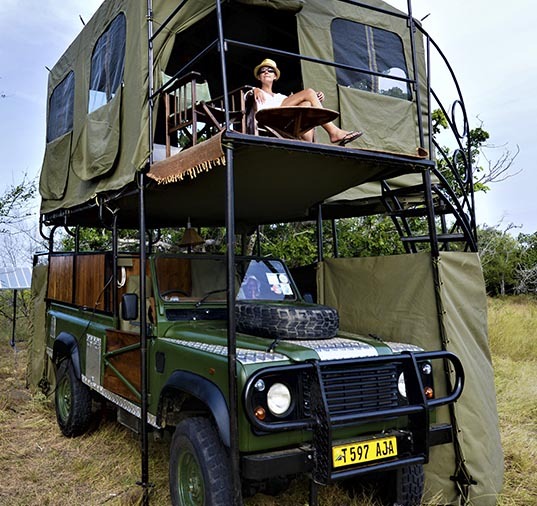 – The tents pop out of the roof of the Land Rover, producing a multi-storied structure that even includes a balcony, the perfect place to sit back in a chair and watch wildlife roaming past. 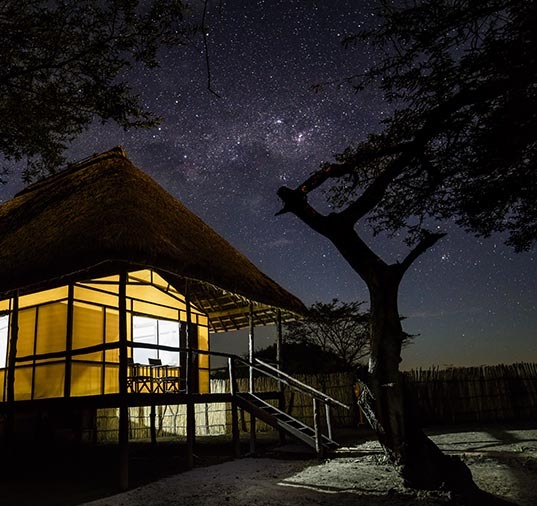 – Little Okavango Camp is located on the edge of the Serengeti National Park, on the banks of Lake Victoria. – As well as allowing great access to the lake and the wetlands, it’s in the perfect place to allow quick entrance into the northern section of the Serengeti National Park where you can experience some of the area’s most impressive game drives and, in the right season, the Great Migration. – The glamorous canvas rooms are raised above the ground on wooden platforms, and offer guests an incredible level of comfort and homeliness in the wilderness. – The Maasai people have for centuries used the Serengeti plains to feed their livestock. Today, many of these people still continue their customs within the park and across Tanzania and Kenya. – The name ‘Serengeti’ has its origins in the Maasai word that described the land. They called it ‘Siringet’, which European explorers corrupted to Serengeti. The Maasai name for the area translates to mean ‘endless plains’, an apt term to describe the landscape. – The Serengeti can trace its origins as a protected area back to the days of British influence in the region. Fearing that lions were being hunted to extinction – or more appropriately, that there wouldn’t be any more lions left to hunt – the British turned the region into a game reserve in the 1920s. By 1951, the Serengeti was a fully fledged national park, and in 1981 it was protected further by being designated a UNESCO World Heritage Site. – The Serengeti National Park is the oldest national park in Tanzania and, arguably, one of the most diverse in terms of landscapes and wildlife. If you’re interested in visiting the incredible Serengeti National Park, please get in touch with our Tanzania experts today. Give us a call on 01943 604030 or send an email to info@footloose.co.uk. We look forward to helping you plan the adventure of a lifetime through this magnificent part of the world.